A Spanish court has moved to block pro-independence politician Carles Puigdemont from assuming the presidency of Catalonia. The former leader has been living in Brussels since he declared independence in October, resulting in charges of sedition and rebellion against him. Mr Puigdemont is the only candidate for the Catalonian presidency. But the country's constitutional court has now ruled he cannot lead the region's parliament from abroad. Mr Puigdemont believes he was given a democratic mandate for his declaration of independence during a controversial referendum, which Spain declared illegal. The charges against the separatist leader are serious, and could result in 30 years in prison. 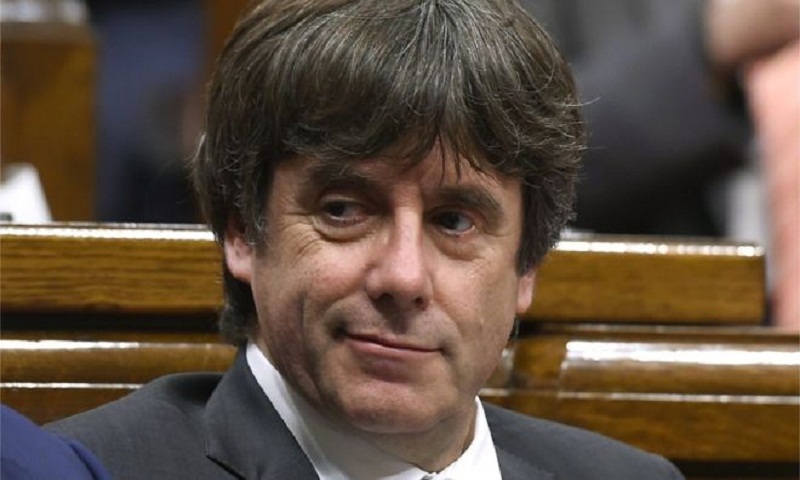 Supporters of Mr Puigdemont had argued that he could carry out his role with the use of technology such as video links from Belgium, where he is currently living. The Spanish government, however, has contested that a "fugitive" cannot lead a regional parliament. It had asked the nation's constitutional court to rule on the issue. In a statement, the court said that it was suspending Mr Puigdemont's swearing-in unless he appeared in the Catalonian parliament in person - and received prior permission from the courts to do so. The decision was unanimous, it said. The Spanish authorities had hoped December's elections would end the political crisis, during which it has imposed direct rule on the largely autonomous region. But an alliance of separatist parties still held a majority in the Catalan parliament after the vote. It is now due to vote for a new president on Tuesday, with no other candidate apart from Mr Puidgemont proposed, reports BBC.